Blackpool Pleasure Beach Holdings have recently celebrated the fifth birthday of their Maximiser OS based SpliceCom IP PBX. The world famous amusement park and resort is the most visited tourist attraction in the UK, welcoming over 6 million visitors every year and is currently ranked 11th overall in the world. Situated in 42 acres within Blackpool’s legendary Golden Mile, the Pleasure Beach boasts some of the most technically advanced rides in the world. 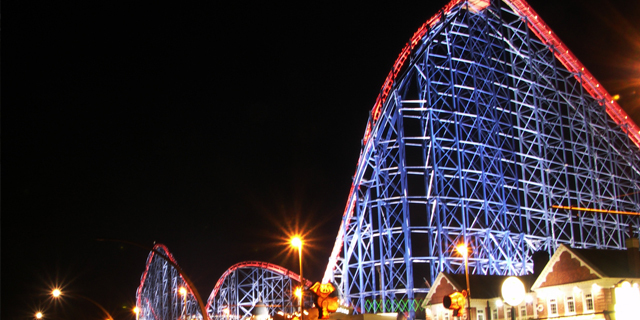 Initially installed in 2009, the SpliceCom IP PBX utilised by Blackpool Pleasure Beach supports over 100 IP and analogue extensions and has been regularly expanded, in terms of both capacity and capabilities, over the intervening period. One of the most significant of these was the addition of SpliceCom’s Vision Business Management suite in 2012, to provide the flexibility and robustness required to meet the ever growing demand from customers wishing to book and pay for tickets. The addition of Vision delivered an immediate improvement in the levels of sales and customer service, ensuring that Blackpool Pleasure Beach remains ideally positioned to meet the increasing communication demands of its millions of visitors and thousands of employees.